Description 660 Hours flight time. 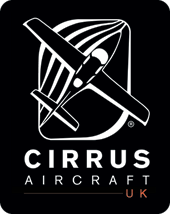 One owner, hangared and based with us at Sywell. Will be sold with a fresh top end overhaul. Currently 6 new cylinders are being fitted at Brooklands Engineering so it will be perfect for the new owner. 2014 SR22T G5 GTS Platinum model with Vision Jet Inspired paint scheme. High Performance Beringer Brakes, Tubeless Tires, Built-in Oxygen System, LED lighting all round, 60/40 Flex Seating and with 5 Seat Interior, 150 KT flaps, load carrying capacity increased by 200LBS for a max all up weight of 3600LBS.